Sandra Lee (Selig) Tedeschi passed away on August 26th at the age of 72. This brief summary is an attempt at telling the story of a wonderful life lived by Sandra Lee Tedeschi. As an attempt, it is only the partial story, of a great woman’s beautiful actions in a world in which she loved and was loved. Sandra has now moved on to another form of happiness- to another realm to be with her loving ancestors. Sandy was born in Malden Massachusetts in 1945 to caring parents Annie Waterman Selig, a careful home maker and Earl Selig, a skilled and hardworking carpenter. In Malden, Sandy spent her early years, with her sister Joan, a fine and generous woman whom Sandy loved her entire life. 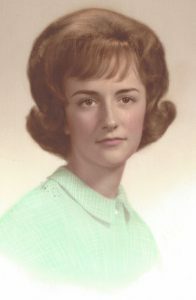 Sandra attended Malden High School and the Malden Hospital School of Nursing where she graduated. She was married to her teenage lover Joseph and soon had three beautiful daughters- Debbie, Ellie, and Andrea. Sandra and Joseph spent 54 years of marriage together, bolstered by their mutual respect and unending love! Sandra’s life could serve as a role model for others. She sought the “American Dream” and found it- through hard work and perseverance. She performed her duties of career and family with successes at every turn. She was a very proud American and looked upon herself as one doing her part in making America Great! Sandra worked hard and loved people her entire life. She worked first at the John Hancock Company as a legal secretary and later continued this work at the Massachusetts State House. She then moved into a career in Health Care, working at the Malden Hospital and the Spaulding Rehabilitation Hospital in Boston, where for 25 years, her actions spoke louder than words, in the Burns Center. She also did private duty nursing for Melrose residents, where she lived for the past 50 years until her death. Aside from work and family, Sandra took great pleasure in her home, located on Bellevue Ave in Melrose, a local historical landmark known as the “Boston Post Estate of 1880”. There, with her husband she carefully restored the entire building, also known in local lore as “Edwin Fletcher’s Place”, and, being an enthusiastic gardener, she paid particular attention to the estate grounds. Sandra was also a great cook and amazed her family with great Italian recipes “old world” which she learned from her husband’s mother and grandmother. It was in the above described setting that she loved to have long talks with her grandchildren, counselling them and offering her guidance in academic life and in general. Her lifelong hobby was collecting Victoriana. She and her husband searched together during the 54 years of their marriage and furnished their home in this way. Sandra also enjoyed “Classic Cars”, loving to “cruise” in her Corinthian White T Bird, or her Lincoln 12 Limo while listening either to Willie or Luciano! Sandra loved travelling to her private summer home at York Beach Maine-“Queenie’s Cottage”, built by her father Earl, during World War II, on the grounds where her parents had previously camped out and the area was known as Minister Pent’s “Bible Conference Grounds”. It was there that as a young girl, she partook in Bible Studies and Conferences and from then on displayed her religion through here daily actions. At York Beach she spent many wonderful days on the beach, with her parents and later with her own children and grandchildren. It was there that she updated the cottage and refashioned the grounds to resemble a “Little Italian Villa”. She often visited Canada and family there. Many times, with her husband, she travelled to Italy, spending time in Rome, Sorrento and Pompeii- where she “looked beautiful in the sunlight of the forum!” She also loved, in an amorous way, Venice! There she was serenaded in a Gondola on the Grand Canal in celebration of her Wedding Anniversary. Sandra passed on after a worsening illness, in the presence of her husband and three loving daughters. Her last living action, again gave pleasure to those around her, as she gave a broad and proud smile. She leaves behind a large family, eleven grandchildren, many friends, and an ” American Dream” fulfilled!